The genus Isoparce has 1 species in the USA, and about 2 around the world. This is a New-World genus, found only in the Americas. 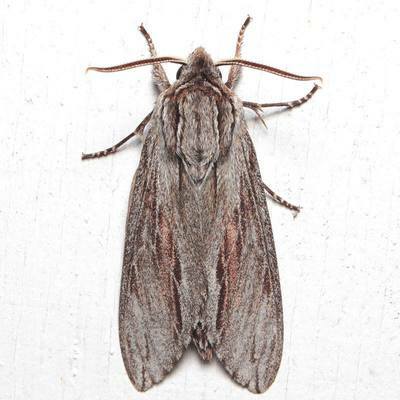 General Information: These are medium sized gray moths. There is usually some streaking on the forewing, but the hindwing is solidly brown in color. Often fairly drab appearing.